Well-written haikus have an elegance to them — a rhythm. Each words holds weight — and each syllable is important — because that’s what the craft demands. Doing so trains you to think deeply about your writing. It forces you to evaluate the opportunity cost of words. Freewrite in two minutes. 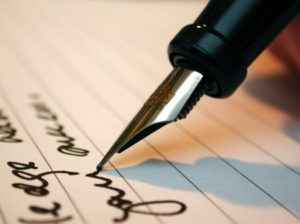 Write anything about a certain topic, you can misspell words, forget commas or periods, and apostrophes. Just write and let ideas flow. Run this exercise enough and you’ll start to recognize your negative writing tendencies. In other words, you’ll begin to see patterns in your writing, which will alert you to the bad habits you should watch out for when writing. Ever read a Wikipedia article? I know it’s concise but you can try compressing a 100 word paragraph into 50 word passage. This will help you write a snippet for your sales email and will have a quick rundown of what you have to offer to your sales prospect. Research a foreign concept and try to explain it to 100 word paragraph. That means you have to be concise without being vague. In other words, you should strive to break down the “what,” “why,” and “how” of the concept or subject. Like Kurt Vonnegut, who wrote most of his novels, including his masterpiece, Cat’s Cradle, in a series of chapters that rarely exceeded two pages in length. This concise approach kept his storylines tight, punchy, and addicting. After practicing these six easy exercise, you can now write a better sales email that will satisfy the reader’s bud of your sales prospect.